In a report by StarBiz, UMW Toyota has indicated 2006’s new model line-up will focus mainly on CBU models instead of CKD models. Rumoured models are Toyota Vitz, Toyota Wish and Toyota Harrier. So if the Toyota Vitz comes in next year, expect prices more to the range of the Honda Jazz and Suzuki Swift at RM80,000 to RM100,000 instead of a Myvi-killer at RM50,000. They’ve also indicated possiblity of more Toyota models to be assembled at Perodua’s plant after the success of the Toyota Avanza. 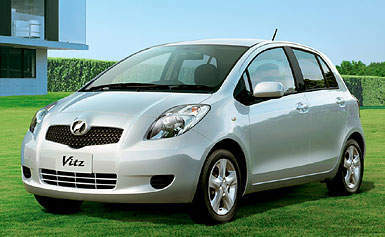 Click here for more details on the Toyota Vitz. Update: Toyota is now selling this car in Malaysia as the Toyota Yaris. Click here for detailed information on the car.